Come and enjoy the beauty of our 1,100 year old church. We are a community of volunteers serving God by serving those out and about in Chester on a Saturday night. We welcome people in practical ways in the café whilst always being available to meet spiritual needs as they become evident. Many have a look around the church quietly, light a candle or have a cup of tea. Some wish to talk about the deeper issues life with members of the team. By meeting people where they are, we have found many of our visitors have unexpected and profound encounters with God. 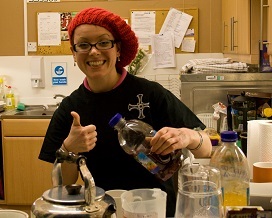 Our volunteers come from many local churches in Chester, with different backgrounds and life experience. We work with people’s strengths and provide training and encouragement to move into areas they are not so familiar with. I just love being at Night Church, there’s something special about the atmosphere. It’s so peaceful, you can really sense the presence of God. I’m always amazed at how grateful people are and how often they rush out to drag in their friends. To keep continuity, we ask volunteers to be available on average once per month. The rota is organized on a quarterly basis based on availability. 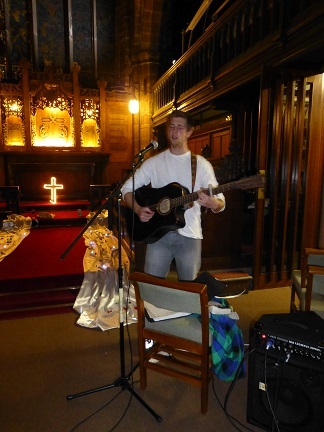 During the evenings, we work in the Welcome, Worship, Indoor and Prayer teams. Volunteers let us know which teams they prefer to work in but are usually happy to cover gaps if needed. 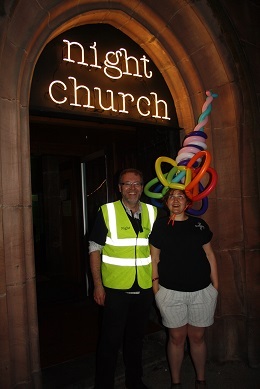 The Welcome team work at the door, chatting to people walking passed, explaining about Night Church and inviting them inside. It’s an all-weather job and we’ll kit you out with high vis jackets and keep the tea and coffee flowing. The team manage security and have access to city link radio system. Prayer area: opportunity for visitors to light a candle and say or write and /or receive prayer. Kitchen: Serving free hot drinks and biscuits. and sign posting to the different areas. The roles within the indoor team are diverse from the very practical to the opportunity to discuss deep issues of faith at difficult times in visitor’s lives. Our worship team provides live music throughout the evening. We are seeking to meet with God through worship and enjoy his presence. Most of our musicians play for 30 -45 minutes either alone or in small groups. It’s a great opportunity to gain confidence and experience in a really safe, supportive setting. Since Night Church started, friends with a passion for intercession have joined us each evening. 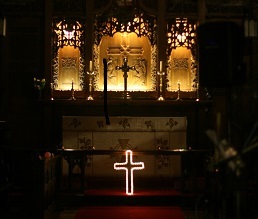 We pray in St Peter’s chapel during Night Church providing much needed spiritual support and the opportunity to hear from God. If you are interested in joining us, we would love to meet you. The best way would be to come along to Night Church and ask to speak to the team leader. Have a look at our values and ethos in the About section and make sure you are happy to support them. We’ll need a completed Application Form (click the link to download), and a reference from your church leader. When you start, we’ll make sure you’re up to date with how we work and our policies.